It has been a long summer for football fans. With no international tournament to keep them amused, the start of the new season cannot come quickly enough for many. And it’s almost arrived, but for many the Premier League, which is biggest and most followed league in the world, watching games this season will be much harder. That’s because the Premier League has recently secured a High Court order which allows it to crackdown much more forcefully on illegal online streams. It is estimated that around a third of Premier League fans access at least one illegal stream of a game every month, either on their computer, mobile device, or using a service such as Kodi. The Order, which will be in place for the entirety of the 2017/18 league season, allows them to require British ISPs to block servers which are providing these streams in real time. This means that ISPs including Sky, BT, TalkTalk, PlusNet, and Virgin Media are obliged to cut off any servers identified by the PremTALKTALKier League as hosting an illegal stream as soon as possible. This is likely to see live streams being cut during games as the Premier League funnels information through to ISPs. A similar order was in place for the final two months of the 2016/17 league season and was described by the Premier League as being “highly efficient”. The Court Order which was put in place last season saw more than 5,000 servers being blocked. Whilst details of this new order are yet to fully emerge, it appears to be aimed primarily at overseas servers which broadcast Premier League games. The order will do nothing to stop people from outside the UK from accessing illegal streams of matches. To achieve this, the Premier League would have to seek individual court orders in each country. For now, their focus is on protecting their product in their main market, the UK. However, this does leave a rather glaring loophole in the blockade, because by using a VPN, British internet users are able to hide their activity from their ISPs and access content which is blocked in the UK. This, of course, includes sites which are illegally streaming Premier League matches. The Premier League could, of course, try to seek to have individual VPN IP Address blocked, but it is not clear whether this Court Order awards them that power. And other sites which have tried this approach in the past, such as Netflix or the BBC iPlayer have found that the sheer volume of VPN IP Addresses which are available all over the world and the ability of VPNs to change them makes this approach all but impossible. As well as having this fundamental flaw, the Court Order does also raise some privacy concerns. In most cases, ISPs are not keen to block sites as it is a time-consuming and costly process which tends to annoy their customers. But in this case, they do have a vested interest as any also provide pay-per-view access to Premier League matches. Indeed there are even some reports which have suggested that ISPs are providing the Premier League with “a certain level of customer traffic.” In other words, they have been handing over customer data to the Premier League, something which most customers are likely to take exception to. When this is taken together with the fact that ISPs are now required to hold all user data for 12 months under the new Investigatory Powers Act and it is clear that the time when internet users could trust ISPs with their data is now in the past. All of which adds further fuel to the case for signing up for a VPN. 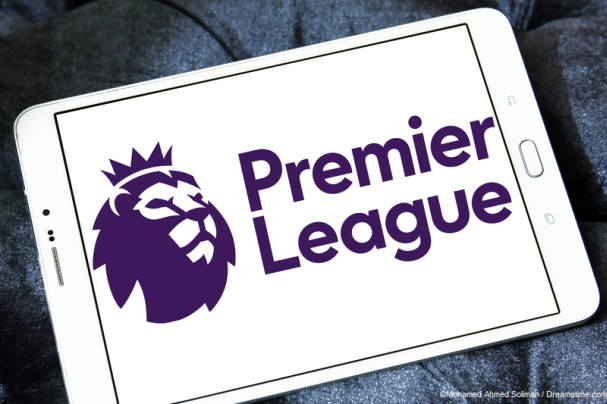 With a VPN connection, not only can you be sure your online data is hidden from your ISP (and the Premier League), but you can also still watch Premier League matches however you want.